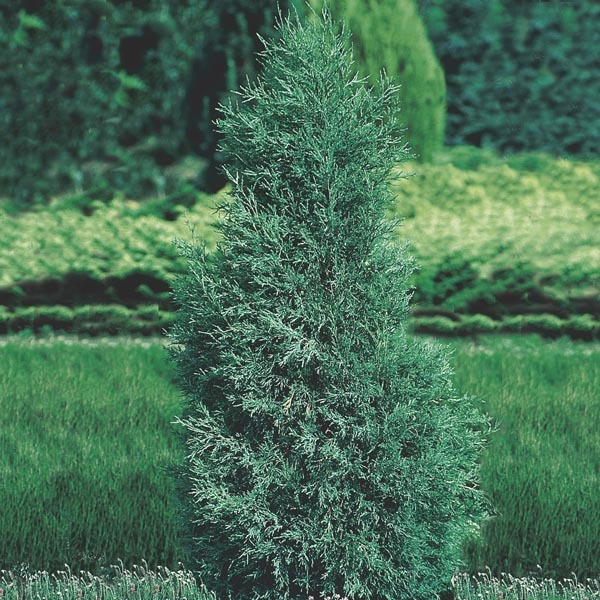 Also known as Colorado Red Cedar, this tough evergreen is native to dry, rocky soils yet adaptable to most well-drained, sunny locations. A columnar tree in its true form, with named varieties offering a range of growth habits and colors to fit most landscapes. Great for privacy screening or blocking unsightly views. Perfect for hedges or narrow spaces. Provides dramatic color and form to autumn and winter landscapes.